Silicon Power has refreshed its lineup of USB flash drives with the simultaneous launch of three new model lines called Blaze B21, Jewel J20 and Jewel J30. The new USB flash drive lines all comply with USB 3.1 Gen 1 specifications and feature high capacities and really small dimensions. 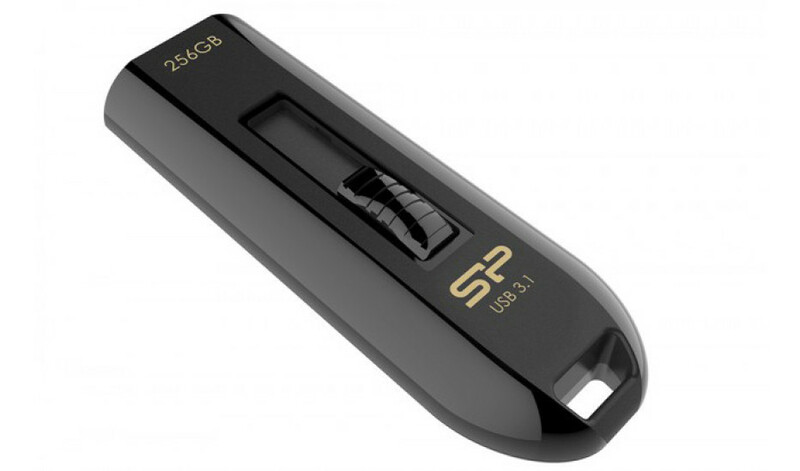 The Blaze B21 flash drive line features capacities from 8 GB all the way up to 256 GB. These flash drives have been designed for videos, movies and large files and this is why there are some really impressive capacities. The Blaze B21 drives measure 58 x 19.5 x 9.6 mm and weigh 8.93 grams. They are housed in black plastic chassis and are compatible with USB 3.1, USB 3.0 and USB 2.0. The Jewel J20 line comes with capacities of 8 GB – 64 GB and includes models that measure 22.7 x 12.2 x 4.6 mm and that weigh just 1.45 grams. The drives are extremely compact and this is the main feature of the entire Jewel J20 line. They are 30 per cent smaller than other competing flash drives and feature a strap hole for easier carrying. Moreover the metallic chassis of the Jewel J20 line features an anti-slip coating for easier handling. The drives in the Jewel J20 line are colored in rose gold and blue colors and feature support for USB 3.1, USB 3.0 and USB 2.0. The Jewel J30 line comes with classic USB flash drives that are housed in rubber chassis and that feature protection against the elements. The line includes acorn shapes, a lid-holder design with a delicate logo strap and a micro Chip On Board technology. The line features capacities of 8 GB – 64 GB and the drives in there measure 27.8 x 21.39 x 9.95 mm and weigh 5.29 grams. The drives are available in red and purple colors and again feature support for USB 3.1, USB 3.0 and USB 2.0. All new Silicon Power USB flash drives can work with Windows XP or newer, Linux 2.6 or newer and Mac OS 10.3 or newer. They also have lifetime warranties.